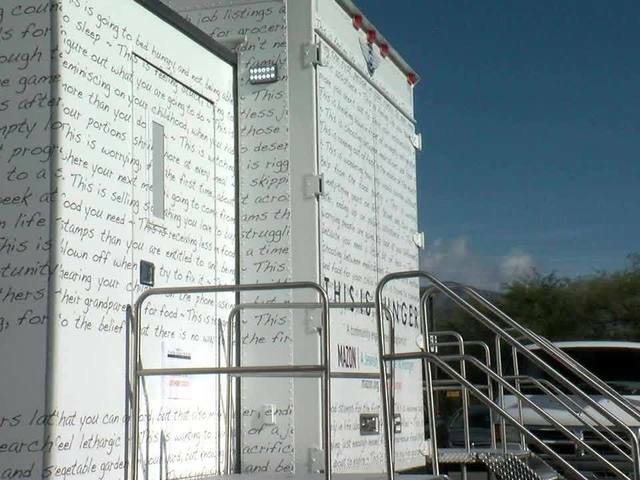 A national mobile exhibit centering on hunger will be in Tucson this weekend. "This is Hunger" is visiting the Old Pueblo as part of a 10-month national tour. 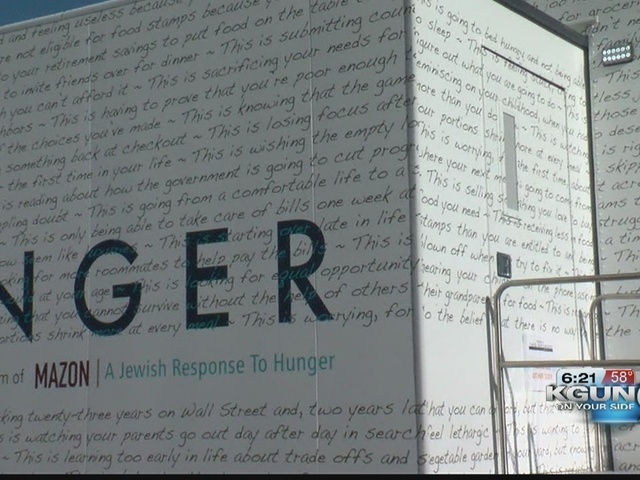 The idea of the exhibit is to "bring Americans face to face with the stark realities of hunger in the United States," according to the exhibit's news release. The exhibit uses portraits and interactive elements to tell the stories of Americans who struggle with hunger. Food insecurity is higher than the national average in Pima County with 16.9 percent of households having difficulty in providing enough food for their families and 24.8 percent of children experiencing hunger, according to the news release. The half hour timed exhibit will be at the Tucson Jewish Community Center at 3800 East River Road from Friday until Sunday. The exhibit starts at 4 p.m. on Friday, 10:30 and 11:30 a.m. on Saturday morning and 12:30 p.m. and 2:30 p.m. Saturday afternoon. The final day of the exhibit will have start times of 11 a.m. on Sunday morning and 2 and 3 p.m. in the afternoon.